Dpumps manufactured by Phantom Pumps are the ideal solution for fluid processor professionals who are looking for ways to save on ever-rising pump-related costs. These are centrifugal pumps that not only offer unparalleled reliability and performance, but they are also compatible and interchangeable pumps for many of the higher-priced Dpumps from leading industrial pump manufacturers such as All Prime, Gorman-Rupp, Durco, Warman and others. The Dpumps Line features models with different solid handling, RPM ranges, impeller diameters and head sizes. 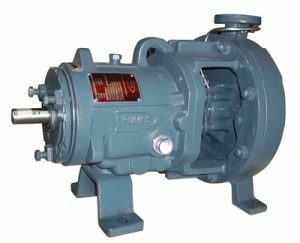 Many Dpumps models include casing, impeller, mechanical seal and other component materials of construction that are identical or similar to diaphragm pumps and other industrial pumps from the most respected manufacturers in the industry. Customer service and support on Phantom Pumps Dpumps are second to none. Fluid processing professionals can count on our pump specialists when they need assistance cross-referencing our compatible pumps and replacement parts to other manufacturer’s equipment. Pump selection assistance is available from our in-house application engineers who carefully match our products from our various pump lines to the specifications of operation facilities utilizing diaphragm pumps or other centrifugal pumps. Engineers also ensure Dpumps are compatible with other processing equipment, such as mixers, gearboxes and drives, currently used as an engineered systems pump at the facility or operation. Our global network of Authorized Phantom Pumps Distributors provides our customers in Maine, Michigan, New Hampshire, Tennessee, Texas and nearby states with local expertise, start-up assistance and more. Contact us today for more information on DPumps or to request a quote. We look forward to serving you!